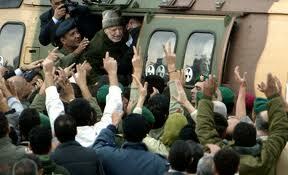 Respect: Why Yasser Arafat is back in news? 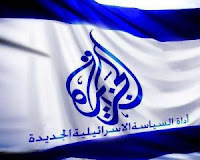 Why Yasser Arafat is back in news? “By Way Of Deception, Thou Shalt Do War,” Israeli Mossad’s motto. The recent the pro-USrael Al-Jazeera investigation into the death of PLO president Yasser Arafat (d. 2004), has claimed that Arafat could have been poisoned using elevated levels of a radioactive isotope (Polonium 210) found in his belongings. Arafat’s belongings were examined by the Institute of Radiation Physics in Lausanne, Switzerland. Arafat’s widow, Suha Arafat, a Catholic born in the West Bank in 1963 - claims that the belongings were put in a secure room at her attorney’s office in Paris after Arafat’s death and stayed there until Al-Jazeera approached the lab on her behalf at the beginning of this year. Watch video below. 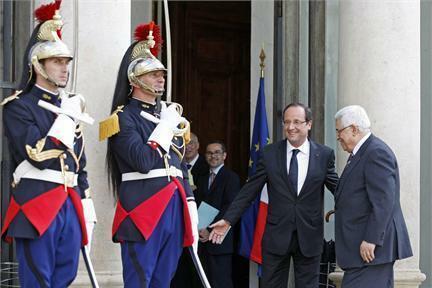 The current PA president Mahmoud Abbas, a USraeli double agent, met France’s Jewish president President Francois Hollande to discuss the new finding. His negotiator, Saeb Erekat, called for the exhumation of Yasser Arafat’s body for examination to be conducted by a medical team appointed by the Arab League that is controlled by pro-USrael Saudi Arabia and Qatar. The Zionist-controlled mainstream media is trying its best to prove that Yasser Arafat was an anti-USrael Palestinian terrorist who could have been poisoned by Mossad as it killed former KGB colonel Alexander Litvinenko. 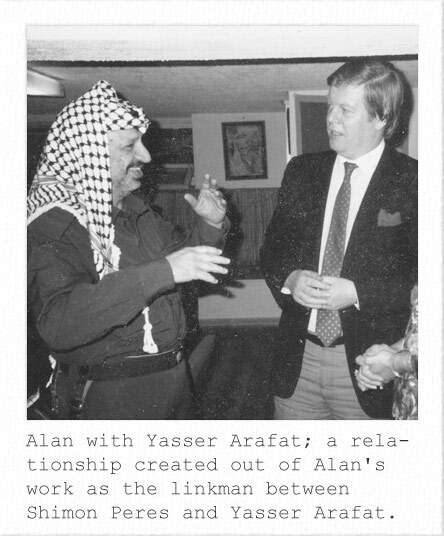 However, beyond the several ‘hero myths’ surrounding Yasser Arafat – in reality, he was no better than Mahmoud Abbas. He let Israel grab more Palestinian land through ‘negotiations’ than the Jewish army could have captured by force. Jeffrey Blankfort, an American Jewish writer, author and human-rights activist, sort of agrees with me. “Having been a major “asset” for the Israelis for years, delivering the land of Palestine to Oslo, apparently the reason behind their placing $8 million a month in his personal bank account afterward, they had nothing to gain by killing him. 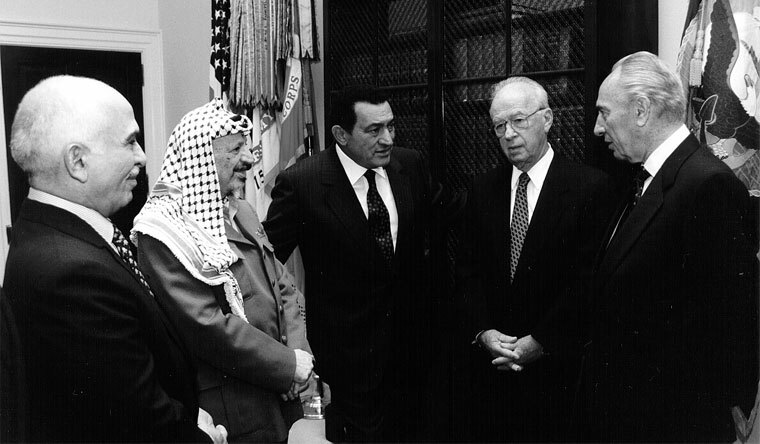 People who didn’t know better believed the charade about him being a “prisoner” in his Ramallah compound when there was not a single Israeli in sight and from which he could have walked out at any time and the same ones have believed that he was a “hero” and “leader of his people” rather than what he was, a traitor and collaborator. Indeed, the Israelis helped to maintain the fiction. 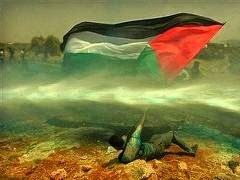 Whenever the people of the WB, who had no love for him, began to complain about the undemocratic practices of the PA, the Israelis would come to his aid by “threatening” him and, as anticipated, the Palestinians would put aside their complaints and rally around him,”he wrote. 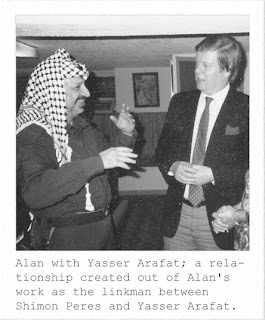 However, Alan Hart, a British television journalist, documentary-maker and author of Yasser Arafat’s biography, ‘Arafat: A Political Biography’, paints a different picture of the late Fatah leader. Alan wrote an open letter to newly elected President Barack Obama, in which he informed Obama that Hamas, Hizbullah and Iran are not the real evildoers in the Middle East – it’s Israel. He also claimed in the letter that Arafat was “most probably the first victim of Israeli biological warfare”. Alan Hart told Obama that Hamas, Hizbullah and Syria don’t need arm-twisting by Tehran to make peace with Israel. They will all be happy if Israel decides tomorrow to withdraw to pre-1967 borders and declare Jerusalem capital of both Israel and Palestinian state. Even though “Iran’s preferred solution is the complete de-Zionisation of Palestine, otherwise known as the One State Solution – one secular, democratic state in which Arabs and Jews enjoyed equal political, other civil and human rights“. Judging by the past records of Al-Jazeera and its owner, the Qatar ruling al-Thani family’s (mere implementer of US-Israeli policies in the Middle East) against Qadaffi, Hizbullah, Afghanistan, Iran and Syria – this new ‘revelation’ is most probably meant to provide an excuse to the Jewish army to force the native Palestinians out of the West Bank and Gaza Strip and achieve Zionism’s old dream of Eretz Yisrael for Jews only. The Zionist regime believes that with bloody foreign insurgency going on in Syria which has spilled-over to neighboring Turkey, Lebanon and Egypt - Hamas has been isolated from its supporters and therefore, it’s the best chance to solve Israel’s Arab demographic problem. BDS explained - DID YOU KNOW? updated 12May11 from Sonja Karkar on Vimeo. Has Assad Ordered Mass Rapes? Chemical Weapons in Hezbollah’s Hands? Syrian refugees are fearing rebels, not Assad! Who is running the Western mainstream media? War on Syria | Tagged: Daraa. War on Syriaو US Pull out of Syria?